What is it ? 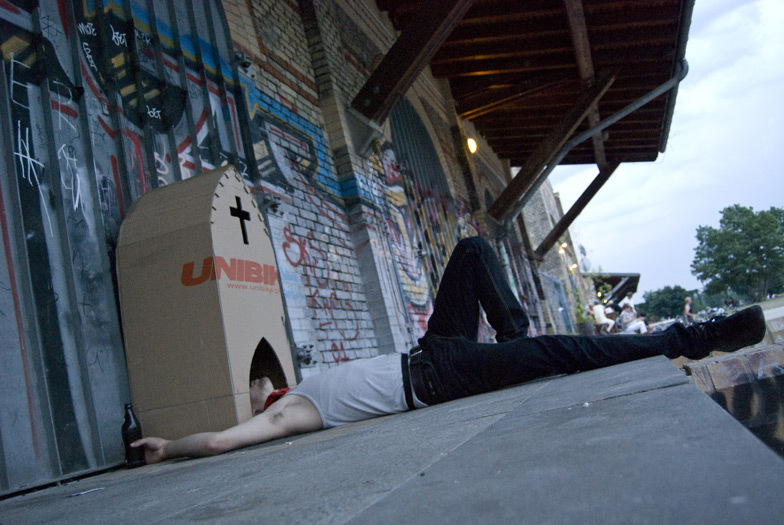 The Cardboard Project is a residence for artists from all kind of media, and consist in taking some cardboard boxes gave up to the street, printing them and replacing them back. Dave decided to offer a tribute to Saint Martin, the saint patron of the bums. 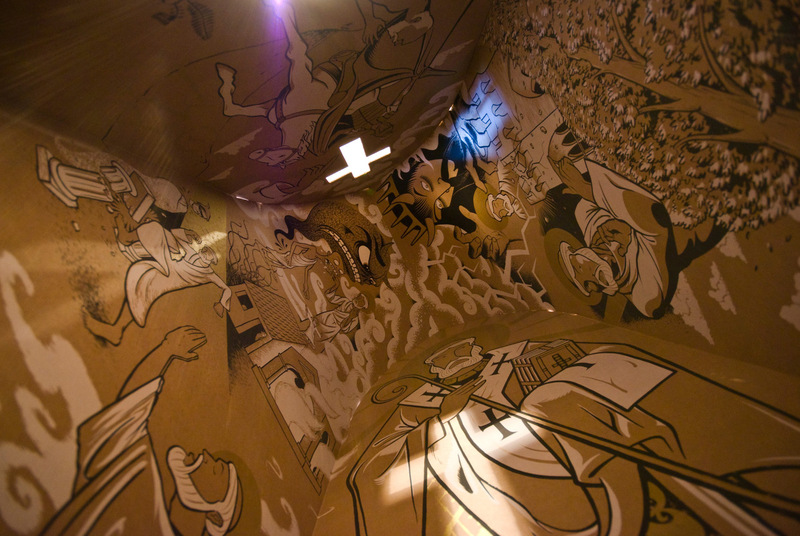 This three color screen print on carboard is designed to be cut-out and folded into a three dimensional one man church. 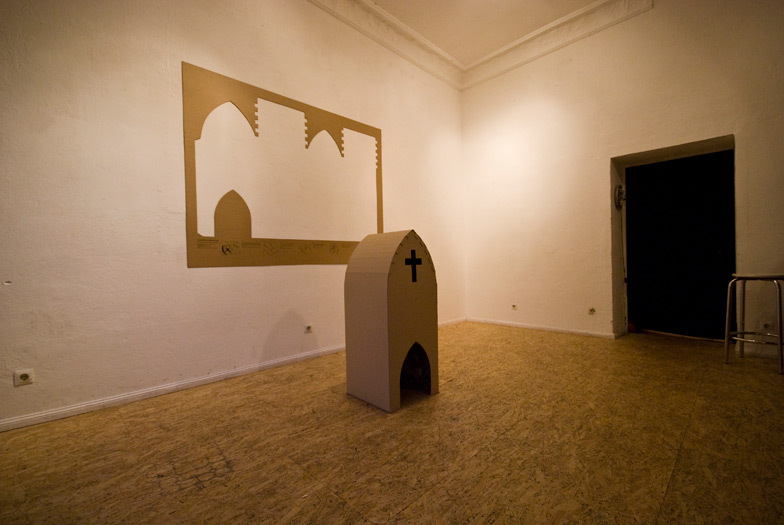 Edition of 50 chapels. we would like to thank Dave who really worked hard for this project, and Just, who made beautifull pictures for us….